Something that we at CHSLC have realized over the years is that older adults often don’t think of themselves as “old.” Even those who are technically senior citizens – even some in their 90s – still consider themselves competent adults. And why shouldn’t they? Age is just a number; what matters is how you feel. Sometimes, though, older adults do require assistance and it can be difficult for them to acknowledge that. The aging process can lead to feelings of fear and loss of personal worth. We associate aging with a number of undesirable characteristics – confusion, dependence, forgetfulness. It’s no wonder seniors don’t want to be thought of as old. There are things we can do as family members and caregivers of aging adults to preserve their dignity as they age. No one wants to be told how to live their life, and no one wants to be told that they need to accept help. But sometimes, just treating the elderly with respect and autonomy can help them see that accepting a little bit of help goes a long way to preserving their independence. Listen to them. Really listen. The simple act of paying attention does wonders. Even if your loved one suffers from cognitive impairment, paying attention to the small details and offering compassion and patience will make their day. Get to know them. Don’t assume your loved one needs help. Observe how they’re doing, what they’re capable of and what they’re having trouble with. This will help you figure out what form of assistance you should offer. Don’t give advice unless it’s asked for. It’s easy to slip into a “protective” role when you care for someone else. You want what’s best for them. But the parent-child role reversal can be hard on aging parents, so accepting advice from a child – albeit an adult child – might not go over well. It’s best to let an outside person be the advisor. You can still encourage and offer support without offering advice. Ask for their opinions. Include them in the conversation. Don’t talk about them as if they’re not there. Accept that you may have differences of opinions but discuss all sides and try to come to a decision together when possible. Respect their right to make choices. By making choices we have some sense of control over our lives. Unless your loved one has severe cognitive impairment and can’t make their own choices, involve them in as many choices as possible. Even simple choices, like when to eat and what to wear, contribute to their feelings of independence. Speak distinctly but don’t condescend. Some seniors don’t like to admit that they cannot hear or understand the conversation around them. Try to talk louder but in a gentle, matter-of-fact way, keeping sentences short and simple. But be careful not to speak to them like a child. Patronizing is a sure way to result in disagreement. All of our services at Community Home Support Lanark County can contribute to the well-being and independence of aging loved ones. Take some time to visit us with your loved one to discuss how our services could be of value. Donna is a survivor and an inspiration to us all. She has been through much turmoil in her life – more than any one person should be subject to. In 1998, Donna was in a horrific car crash. In the weeks following, there were multiple moments when the hospital staff and her family thought she wouldn’t make it. Against all odds, her indomitable spirit pushed her through. She was told she may never walk again, but she did. Not only could she walk, but she could sing, dance, act silly and even – laugh. Her accident and recovery changed her not just physically, but gave her lightness of heart, leading her to surround herself with those people who would accept her for what she had always been; a loving, vivacious creature who would, from now on, only seek the gentle and pleasant side of life. Years later, and the physical realities of Donna’s ordeal began catching up with her. She is back in a wheel chair, as mobility is not easy. Her husband Stephen has been an incredible support for her, but with her added burden of terminal cancer, Donna’s strength of spirit waned. She became a recluse. She felt she had nowhere to go and felt alone within herself. Two years ago, Donna was introduced to the CHSLC Hospice Day Program. Here, she met people like herself, suffering life-threatening illness. These people – who have become like family to her – are always willing to share and listen. Similarly, she has met “some of the warmest, most caring counsellors” who go out of their way to help her. Each week, Donna looks forward to sharing a meal with good friends and participating in the fun activities planned for them. She also takes advantage of CHSLC’s foot care services and is visited in her home by a hospice volunteer. Donna spoke at the 2016 Hike for Hospice, where she rallied support for the program. “I could go on and on about the love and support we have all received – so let us give our community support team a great big thank you!” She went on to declare that, “Hospice matters. The end of life deserves as much beauty, care and respect as the beginning.” We couldn’t agree more. Our beloved volunteers decide to help us for many reasons. Some volunteers even end up using our services themselves. When Wilma started to require CHSLC’s services for herself, she told us that her years as a volunteer made all the difference when accepting help for herself. Wilma contacted us in 1999. Her husband had passed away and Wilma realized that she needed to fill her time. She also wanted to bring purpose and meaning back to her life. When Wilma’s mother-in-law suggested CHSLC Wilma jumped on board. The rural Diner’s Club benefitted early on from Wilma’s dedication and lovely demeanour. Then, she volunteered as a transportation driver and Meals on Wheels dispatcher. Wilma arranged delivery for 45 meals one day! Through her service, Wilma was able to make acquaintances with many people, but two clients made the most impact on her. Denise* and Wilma spent hours conversing about everything under the sun. Time seemed to fly by when they spent it together, talking. Having this relationship helped Wilma feel less alone and she felt accepted and needed. Her relationship with Denise meant the world to her. One afternoon, Wilma spent time calling people to remind them about Diner’s Club and to encourage everyone to come. Her voice sounded so friendly on Bruce’s* voice mail that he decided to call her back. Wilma and Bruce had a great discussion and she thought his comments about her voice were funny as well as flattering. Wilma has had her share of experience with medical surgeries, but 3 operations on her leg didn’t stop her from volunteering with us! She spent her time while laid up, calling clients to attend dinner. CHSLC really is like a family. One morning, Wilma walked outside her home. She was just going out for a minute, so didn’t take the time to dress appropriately for the brisk winter weather. Two of our Transportation drivers arrived at her house a little earlier than normal to pick up Wilma for an appointment. When they arrived, she was on the ground and couldn’t get up. She had fallen and broke her leg. Since her surgeries, Wilma has been receiving CHSLC’s services herself. She receives transportation to doctor’s appointments, Meals on Wheels deliveries and Foot Care. We love giving back to Wilma who has given so much to us and our organization! The funny thing is, we feel the same about Wilma! She’s been a steady rock throughout the years and a valued volunteer we could always count on. Thank you for everything you do, Wilma! It’s always a pleasure working with you. Caring for a loved one with a life limiting illness is difficult, regardless of how trained you are for the job or how much patience you’ve acquired over the years. It’s emotionally and physically draining, yet you’re committed to helping your loved one feel as healthy and comfortable as possible. That’s where Community Home Support Lanark County’s hospice palliative care services and volunteers can help. Our hospice palliative care services and volunteers are available to you. Talking with someone other than your loved one or your family and friends can be helpful. We can give you an experienced, unbiased viewpoint and we won’t judge you for any feelings of resentment. 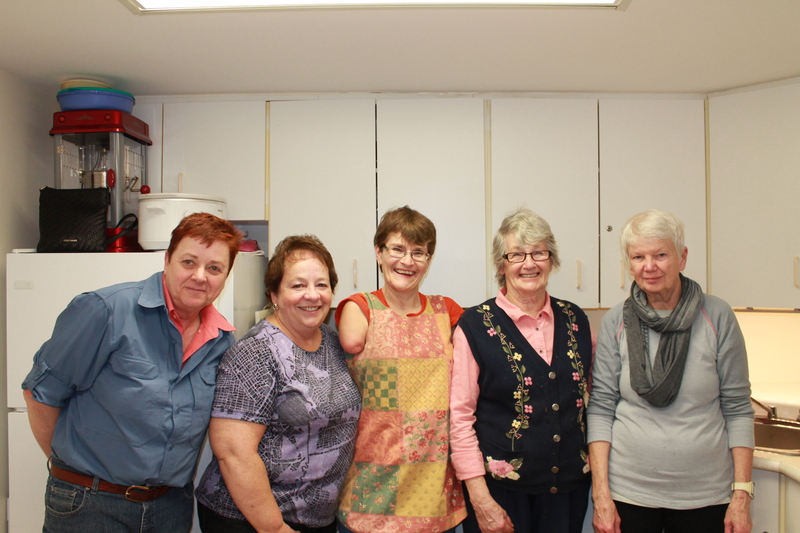 Visiting volunteers take the time to spend social time with clients and give their caregivers a break. The day hospice program is a safe and comfortable space where clients of all ages come to share similar experiences and connect. A meal and a game of cards or a sympathetic ear with a friend who doesn’t need an explanation can be a welcome relief. A long-time hospice palliative care volunteer with us has taken courses and training for nearly 40 years! She happened across the palliative care path unexpectedly when she discovered a friend was suffering in distress with a life-limiting illness and had no one to help. Many of our volunteers have stories like this. Many stumbled into the field of care through helping a friend or family member and then continued on volunteering, knowing their experience and training will help others. As for our 40 year trained veteran… She began her journey by helping her friend and then continued on to become a palliative care nurse, a bereavement counsellor, a home visitor, a hospice professional and now, in retirement, a hospice volunteer! We’re grateful to work with such a knowledgable and caring volunteer. Forty years ago, the first comprehensive palliative care program in the international community was initiated at McGill University’s Royal Victoria Hospital. The world looked to Canada as an innovator, not only as a pioneer. Courses were offered, and palliative care units were established. Perth and Smiths Falls once had a dedicated and funded palliative team, but, as budgets were frozen and staff left, the services disappeared. Now, thanks to community involvement, palliative care is available in both the Perth and Smiths Falls hospital campuses and volunteer services of hospice palliative care have developed. CHSLC provides day hospice, bereavement support, a resource centre as well as a volunteer visiting service. The South East Local Health Integration Network provides approximately 50% funding the other 50% required to operate the services comes from donations and fundraising events. That’s why we hold events like our annual Hike for Hospice coming May 1st. If you’re interested in participating or donating to the event through a monetary donation or volunteer services, contact us at (613) 267-6400 or visit our Hike for Hospice page. Every year our Hike for Hospice event draws out volunteers of all ages, the young and the young at heart. It had us thinking about our age-young volunteers and how they can use volunteerism to find the job they want after school. Based on our experiences, here are the top 3 ways volunteering helps boost your resumé. Knowing what you want to do “when you grow up” is half the battle when job searching. The other half of the battle is creating connections in the workplace and building working relationships with key people who can help you get the type of job you’re searching for. Volunteering requires you to meet new people — potential coworkers, employers and decision makers for the organization. So, you haven’t decided what you want to do “when you grow up”? No worries! Volunteering allows you to explore various job markets without affecting your resumé or future job prospects. A resumé that lists a series of jobs that you’ve tried out, but didn’t succeed at doesn’t look good. It makes you look indecisive and unreliable. Employers will think you’re unemployable even though you’re smart and capable. Volunteering allows you to experience a field of work without having to include it in your resumé unless it will help your prospects. Every field of work has a particular skill set that applies only to that field. There are also universally important traits like time management and communication skills that are beneficial to any job. Take for example, working with seniors who live at home and subscribe to our Meals on Wheels program. As a delivery driver it’s important to arrive on-time and safely. It’s also important to strike up conversation if it’s welcomed. Being flexible, yet timely is key to running a service that is efficient and friendly. It’s also an important skill set to apply to any field of work you end up pursuing. Over the next few months we look forward to working with students and young volunteers during our Hike for Hospice. We wish them all the best in their studies and future careers!